My sister has a birthday coming up early next month, and I wanted to make her a purse and matching clutch to celebrate her special day. She's not exactly a "country gal" like I am (in her taste) -- I suppose I'd call her decorating something like "classy" or "classic." Her house is beautiful and very tastefully done - I love it --- but it's definitely not the hodge podge country style that I use everywhere! 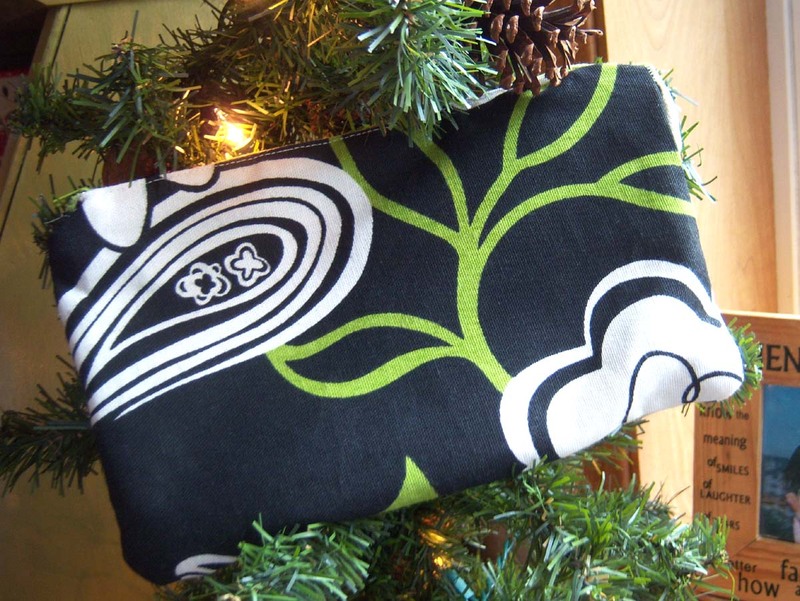 That being said -- I wanted her purse and clutch to be a bit more "sophisticated" in style -- don't know if I succeeded or not - but I think she'll like it. 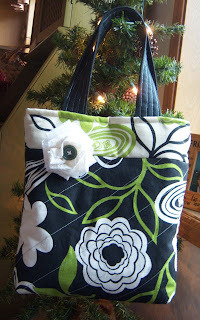 I didn't use a pattern for the purse -- I just based it on one that a friend made and sent me for my birthday last month. 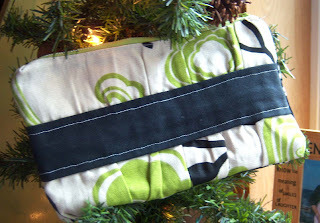 Talk about learning by "trial and error" -- I did more ripping out on this purse than I ever have on any other project! Here's a view of the lace flower I made (using lace that Abby sent me in my surprise box!). I used the off white material on the front and the black material on the back. The inside has both materials in it as well. 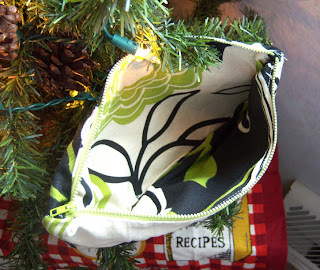 I used the same pattern I've always used -- this simple and easy one from the Noodle Head blog. I'm sure you noticed I did not include the pockets inside --- it goes a lot faster and I didn't make mine with the intentions of being used as a wallet, but rather as a "removable pocket." 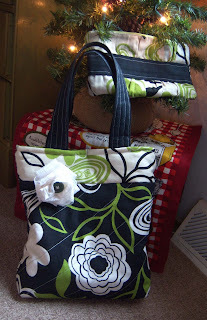 I have several more sewing projects ahead - for Christmas presents this year! 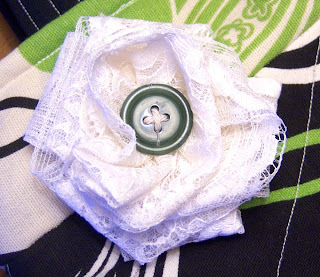 Let's hope this "sewing mood" I'm in lasts a little while! It's lovely! Your fabric choices are very sophisticated, so I'm sure your sister is going to love it. I can't wait to see what else you sew for Christmas! Oh how I've enjoyed going through all your sewing projects. I'll have to try those totes. What a cute gift. The tea tag is adorable. I'm not sure if I know your sister or not, but who wouldn't love the purse? The fabric is delightful!